Thanks to Google, after 4 months, my blog got a Page Rank 3 ! What about yours ? Please do share your updates! Techetron’s pagerank has dropped to 2 🙁 Time for some great work to do ! Google Plus Pages Unveiled ! I am really thankful to the owner of this web page who has shared this wonderful article at at this time. Hello Samantha! 🙂 You are welcome! Well this update was the last update till now and I guess the next one will be around the first week of February! Congrats! you have got Pagerank #3 but no chance for my blog still on Pr #0 🙁 btw am doing hard work on my blog, and i see your blog is more powerfull with great content. Congrats to you, your experience is a great tutorial for me, thanks for the share. Congrats on getting a pr3. And I as well moved from pr0 to pr3, and it feels really good. You will get it in no time, I am pretty sure ! 🙂 Thanks! 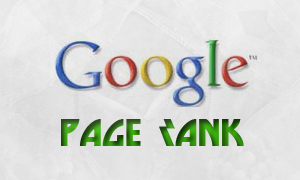 Congrats on good PageRank! You've done great job during these four months! Congrats on your updated pagerank. My blog got a pagerank of 4!